Logins this hour: 9543 ? 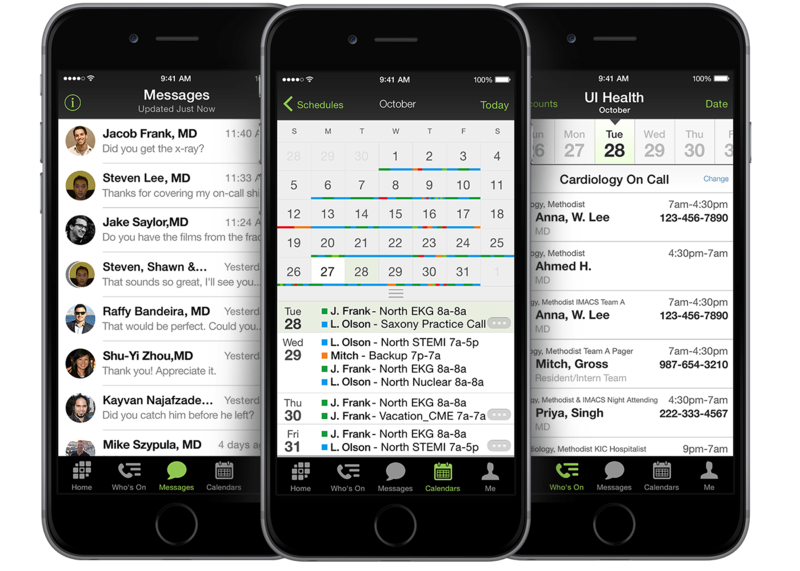 Amion can remind staff of upcoming shifts. To enable reminders, you must be running a version of OnCall from Nov. 10 2016 or later. Go to Help / About OnCall to check the date on your software and update if needed. Select the Window menu and choose Calendar subscriptions. Choose to send reminders for all or selected shifts. For people to receive the reminders, they must have an email address, be set up to receive secure texts via the Amion app, or be configured to get messages to a cell phone or pager. Amion will send reminders as secure or SMS texts or to a pager if possible. Otherwise, it will send them via email. The reminders go out around 24 hours before a shift begins. Amion sends reminders between 8 am and 10 pm. Reminders for shifts that begin at or after 10p go out first thing the next morning, the day the shift starts. You can turn off reminders for selected staff. Go to Work Preferences and bring up the person's calendar. Or, if viewing work preferences in table format, right click on a name in the left-most column. Turn off "Shift reminders". If only a few people want reminders, hold the Ctrl key when you turn them off for one person. The Ctrl+click turns reminders off for everyone and you can enable reminders for just the people who need them. You can turn reminders back on for everyone by right clicking on someone whose reminders are off and holding Ctrl when you turn them on. Here we discuss shift reminders. This page describes alerts.